Let's face it - there are few things worse than plumbing problems in your home. 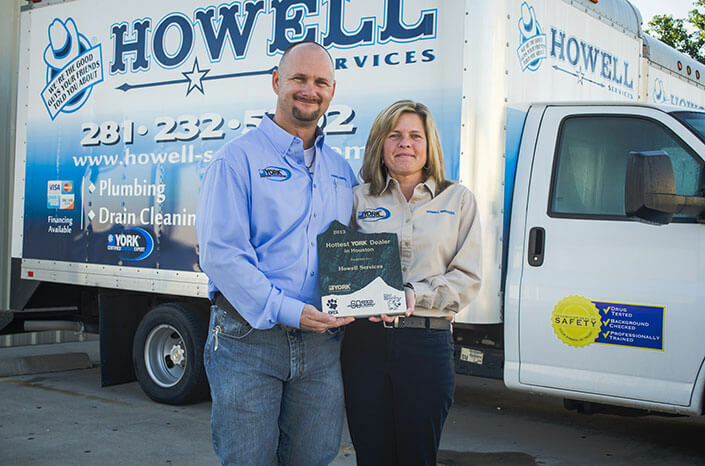 Howell Services provides full service Missouri City plumbing in the Fort Bend County area. We are ready to handle any of your plumbing needs in a timely matter. Whether you have a clogged kitchen sink or running toilet, or need a complete home re-pipe, we are your best choice for a quality Plumbing! Known for our professional services, we are considered the best Missouri City plumbing company providing highly professional & trust worthy plumbers. Don’t hesitate – call us today at (281) 232-5292 for Plumbers in Missouri City, TX whom you can count on for dependable and fast service for your home and family! We've got some our clients leave us reviews. We work with many different vendors and have received the highest certifications. We work with the top rated plumbing and HVAC manufacturers.